NX> 700 Starting: install node operation at: Wed Mar 28 13:22:36 2012. NX> 700 Autodetected system 'suse'. NX> 700 Installation of version: 3.5.0-7 completed. The NX Node setup procedure could not detect your "CUPS"
in order to enable printing support in your NX system. to specify the location of the CUPS root path. NX> 700 Installing: server at: Wed Mar 28 13:22:42 2012. 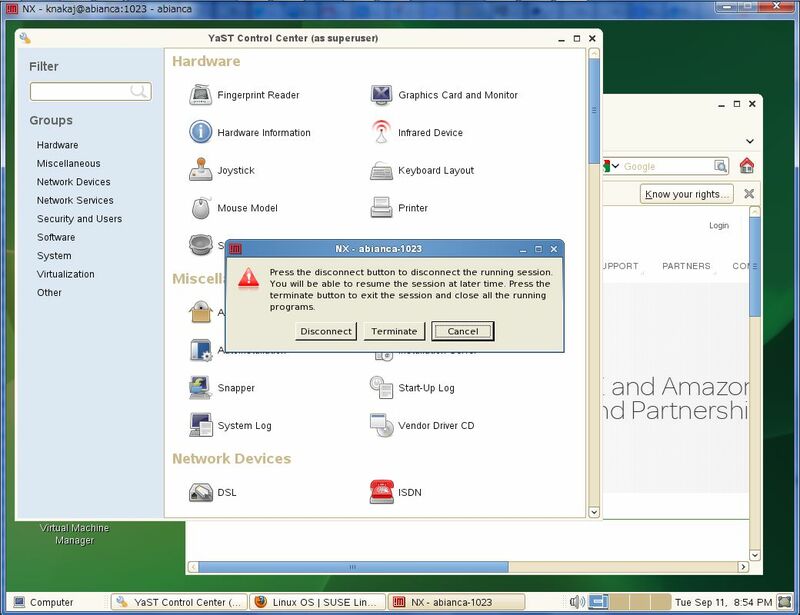 NX> 700 Autodetected system: suse. NX> 700 Version '3.5.0-9' installation completed. rizing the user and negotiating the session. on the remote node host by issuing the NX node commands as root user. allow this server to connect to the node running on the remote host. suse11:/etc/init.d # find . -name "*nxs*"